This New Testament manuscript known as P52 is a fragment of John’s gospel dating between 120-150 A.D.
A question frequently asked of Christians is, “How do you know you can trust the Bible?” After all, isn’t it true that the copies of the New Testament that exist are hundreds of years later than the original New Testament manuscripts? 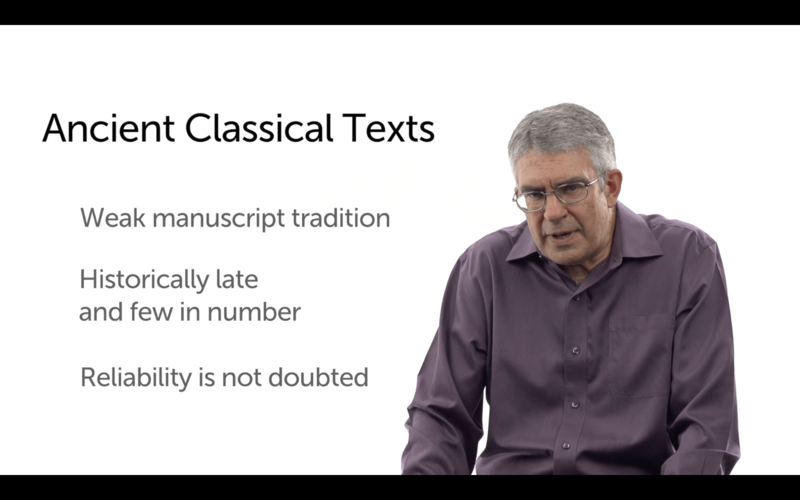 Noted New Testament scholar, Dr. Craig A. Evans, seeks to answer these, and similar, questions in the Logos Mobile Ed course, The Reliability of New Testament Manuscripts. 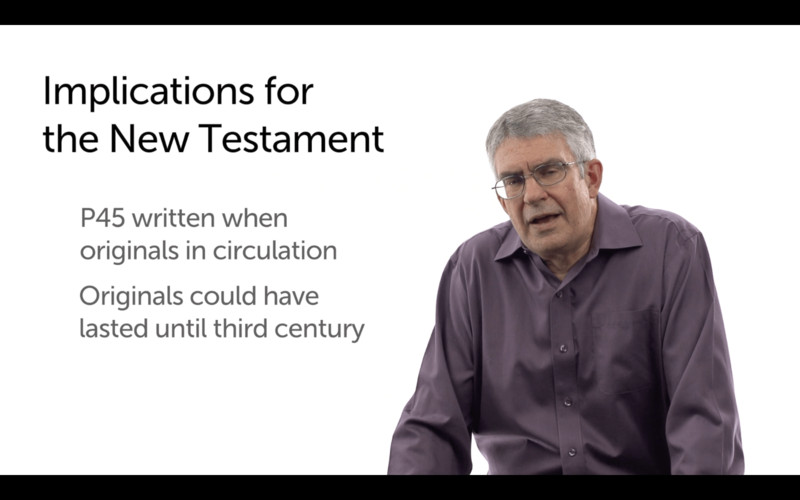 You can tell from the title that Dr. Evans certainly believes the New Testament manuscripts are reliable and he produces a lot of good evidence to prove his case in this one hour video course. Even though I had a similar course in seminary many years ago, Dr. Evans reveals some new evidence that strengthens the case for the reliability of New Testament manuscripts. I’ll share some of this interesting information in this post, so keep reading! Each section is of varying lengths (anywhere from 3-10 minutes each) and includes, not only Dr. Evans’ lectures, but also instruction on how to utilize Logos in the study of New Testament manuscripts. 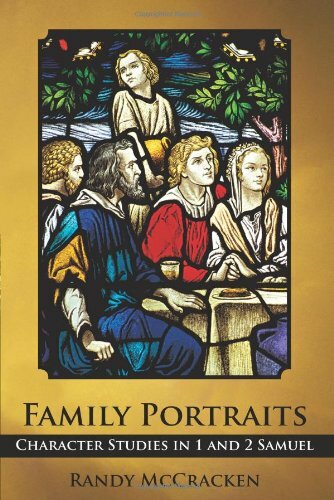 One advantage of Logos is that users will find that the manuscripts Dr. Evans speaks about are readily available in the Logos library, along with some photographic examples. The sections above which provide instruction on how to use features in Logos include 2, 4, 5, 8, and 10. Dr. Evans compares the evidence of other classical documents and demonstrates the preservation of New Testament manuscripts is far superior. One lecture compares the body of manuscripts available from classical sources, such as Caesar’s Gallic War or ancient histories by Livy or Tacitus with the body of manuscripts availlable for the New Testament. In the case of classic manuscripts, there are usually only a handful of a particular writing available, and these copies date hundreds of years, and at times over a thousand or more years, later than the originals. And yet the authenticity of these documents is never questioned (see photo above). By comparison, Dr. Evans notes that there are 5,800 manuscripts of the New Testament. These are not all complete copies, and many date from the Middle Ages. However, a few hundred “date back to ancient antiquity,” and about four dozen date to the year 300 A.D. or earlier (most of these are incomplete, and some are small fragments). This body of literature makes the New Testament the most well-preserved document of antiquity. 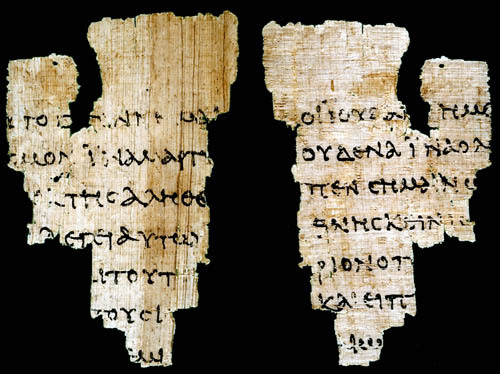 For an excellent article on this topic which lists ancient classical documents, how many copies we have, and the length of time between the copies and original see Manuscript evidence for superior New Testament reliability. How Long Could an Original Manuscript Last? One of the most interesting lectures to me was section 7, “The Longevity of the Autographs.” Dr. Evans notes that when he was in seminary he once asked his professor, “How long did the autographs (original copies) last?” His professor answered that it was probably about 10-20 years. Therefore, it used to be thought that there was a great distance (2 centuries or more) between the original writing of, say a gospel or letter, and the earliest copies that we possess. If copies only lasted for 10-20 years, this would mean in the space of 200 years as many as 10-20 copies would have been made, allowing greater opportunity for scribal errors to be introduced into the text. The life of a manuscript was not 10-20 years as previously thought, but could last 150-500 years. The facts are actually quite different. Dr Evans notes a study in 2009 by George Houston (you can access that study here) where the remains of 53 ancient libraries were examined. These libraries ranged from a collection of 12 books to nearly 1,000. This study demonstrated that original documents were extremely well-preserved and lasted anywhere from 150-500 years! Manuscripts were written on papyrus, or animal skin (known as vellum), with durable ink. Books (or scrolls) were considered very valuable, and were thus well taken care of. The library of Qumran (known as the Dead Sea Scrolls) is an excellent example of how manuscripts were preserved. A number of the manuscripts from Qumran are anywhere from 100-300 years old. What this means for New Testament manuscripts is that the originals could easily have lasted for several centuries, overlapping some of the copies we have today. 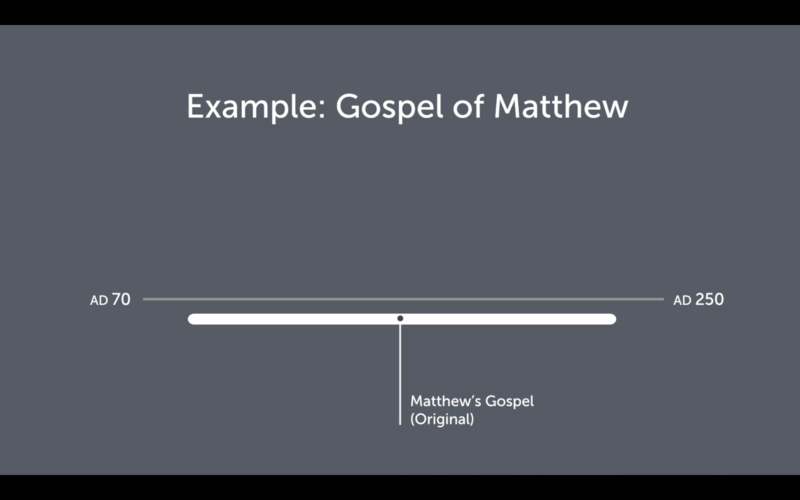 Dr. Evans uses this chart to illustrate that the original copy of Matthew’s gospel could easily have existed into the third century. See my discussion below for further information. Was There Only One Original of Each New Testament Manuscript? Another interesting fact noted by Dr. Evans is that when an original manuscript was produced in ancient times, a copy was always made of it and checked against the original. In some cases 3 or 4 copies were produced. This means when we are speaking of the originals autographs of the New Testament, there wouldn’t simply be 27 (the number of New Testament books), but at least 54, and perhaps more! These extra copies of the original lend an even greater likelihood that the autographs survived for centuries. Along these lines, Dr. Evans notes that there are at least two ancient references to New Testament autographs surviving for centuries. The Church Father, Tertullian, writing around 190 A.D. in a document entitled, Prescription Against the Heretics, “complains of the heretics who mutilate the text, and he says, ‘If you don’t believe me, then check out the autographs of Paul’s Letters,’ and he mentions a few letters by name, ‘which you can find in Hierapolis, in Asia Minor.’” In a writing of the early fourth century by Bishop Peter, the bishop mentions that the original of the Gospel of John can still be viewed in Ephesus. Above, I posted a photograph of a famous fragment of the Gospel of John which can be seen today in the John Rylands Library at the University of Manchester, England. This fragment dates to about 140 A.D., not long after John’s Gospel was penned. If Bishop Peter’s statement is accurate, the original of John’s Gospel existed at least into the early 300s A.D. This means the Gospel of John fragment (known as P52) in the library at the University of Manchester was written well within the time that the original still circulated. There is absolutely nothing like this in classical literature. As noted above, hundreds, even thousands, of years separate the originals from their copies in classical literature, not so the New Testament. In conclusion, this is a great course and provides some wonderful evidence for the reliability of New Testament manuscripts. This month (March, 2016) I got it on sale for a mere $21.99. Even at the original price of $39.99, it is well-worth the buy for those who have Logos Bible Software. Dr. Evans presents compelling evidence for trusting the reliability of New Testament manuscripts.